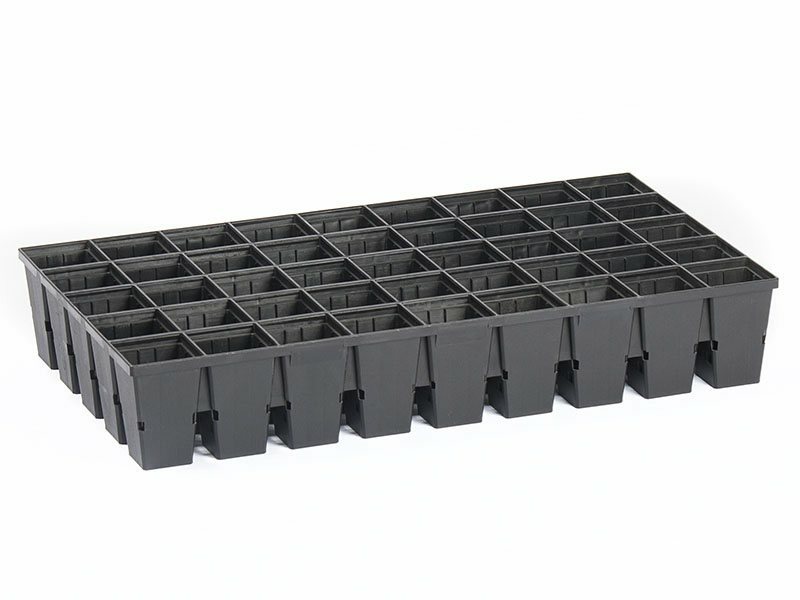 12×20 inch tray with 15 removable sleeves. 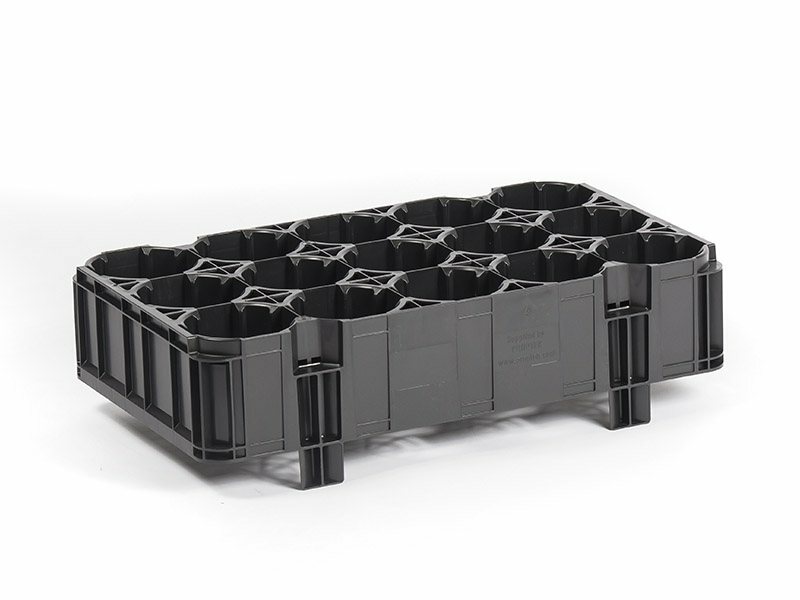 Widely used for fruit and nut trees. 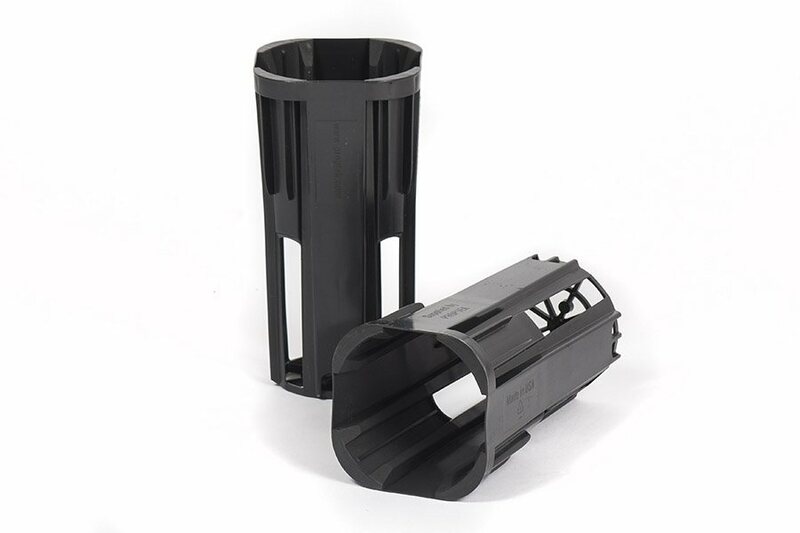 Sleeve holds a deep (8 inch) 80mm diameter Ellepot. 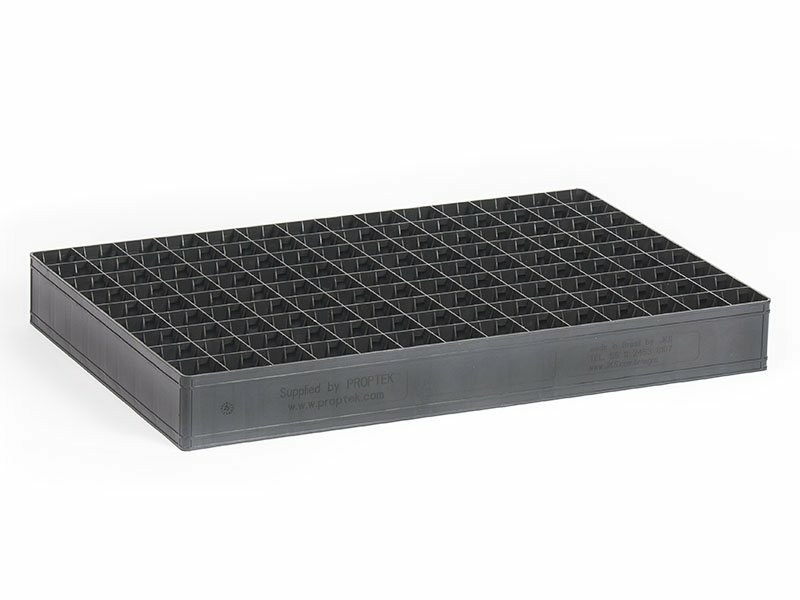 Tray holds a shallow (4 inch) 80mm diameter Ellepot. 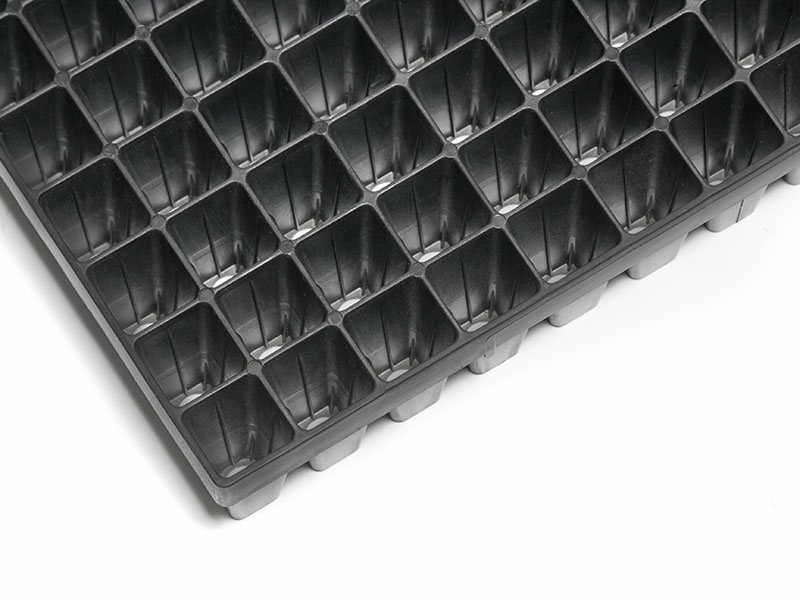 Various tray versions are available depending on your nursery setup. 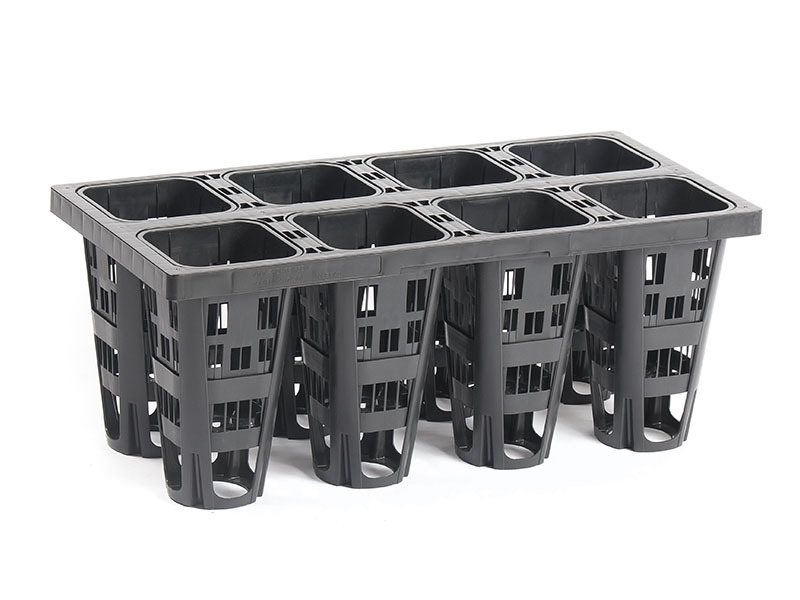 15 Sleeves can be handled at once or lifted out individually. 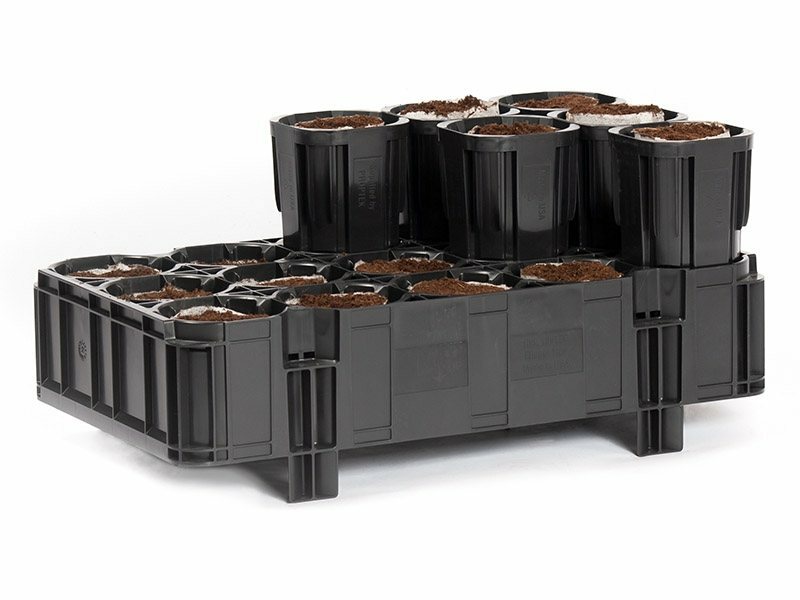 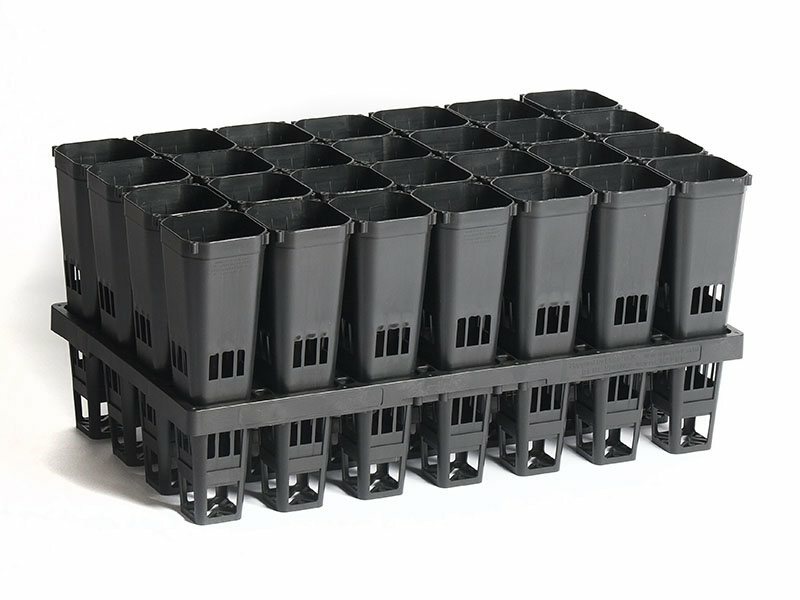 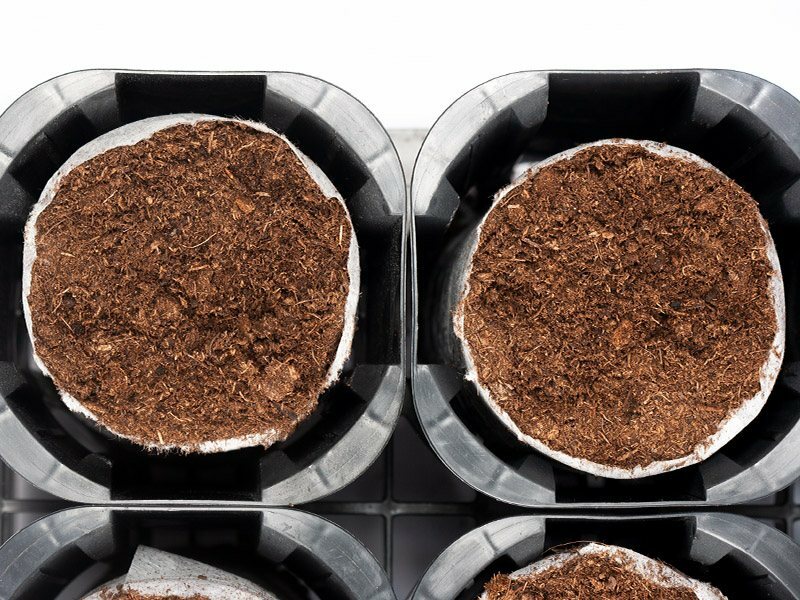 Our brand new 15 cell Ellepot/Proptek propagation sleeve and tray growing system for trees and shrubs. 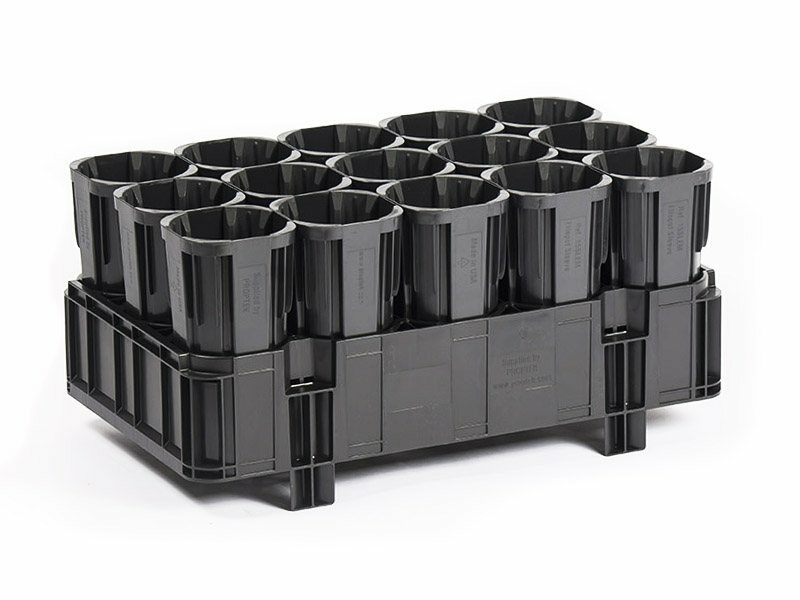 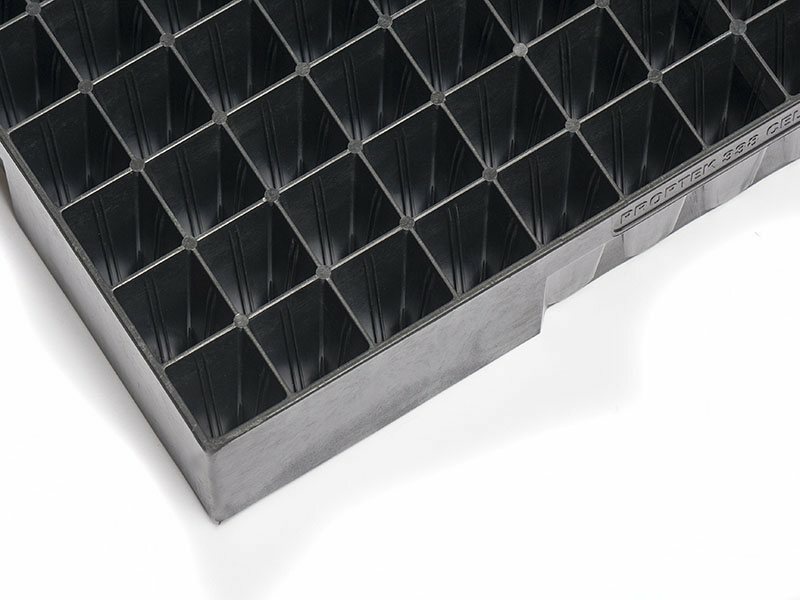 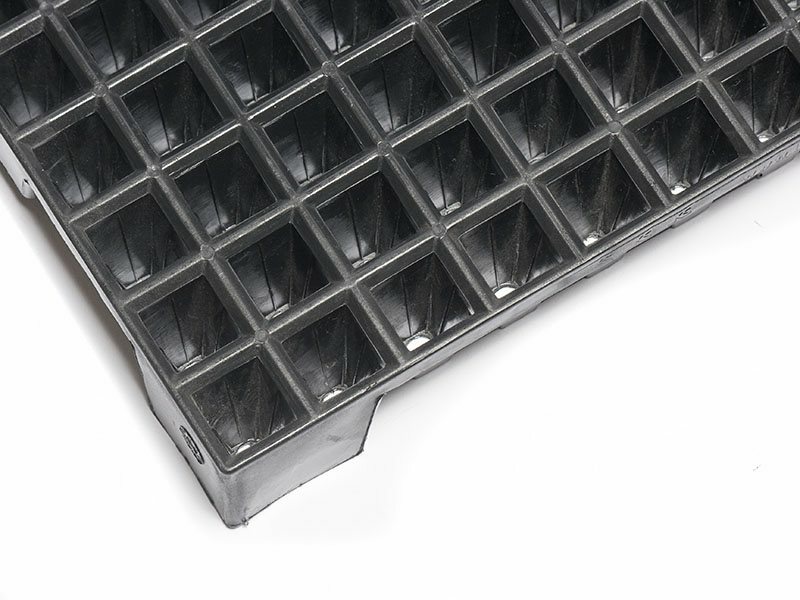 The 15 Cell Sleeve and Trays is designed to hold an 80mm Ellepot. 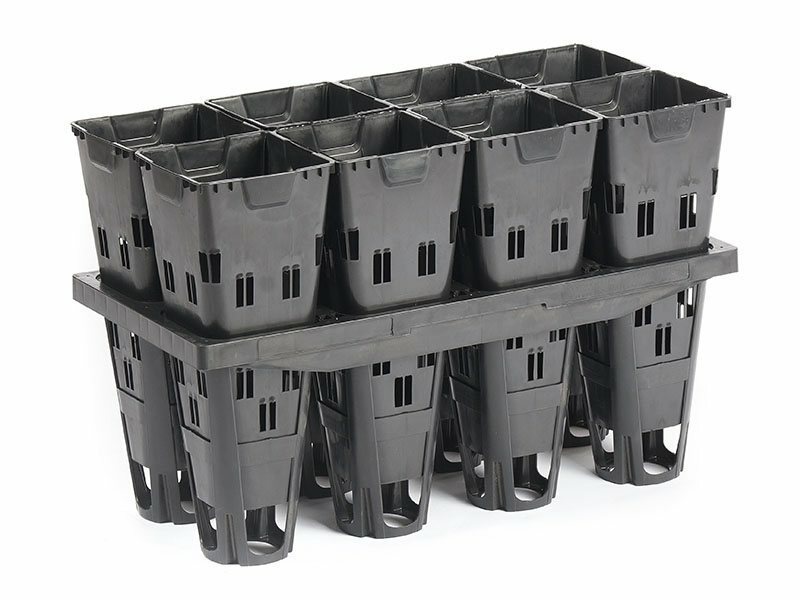 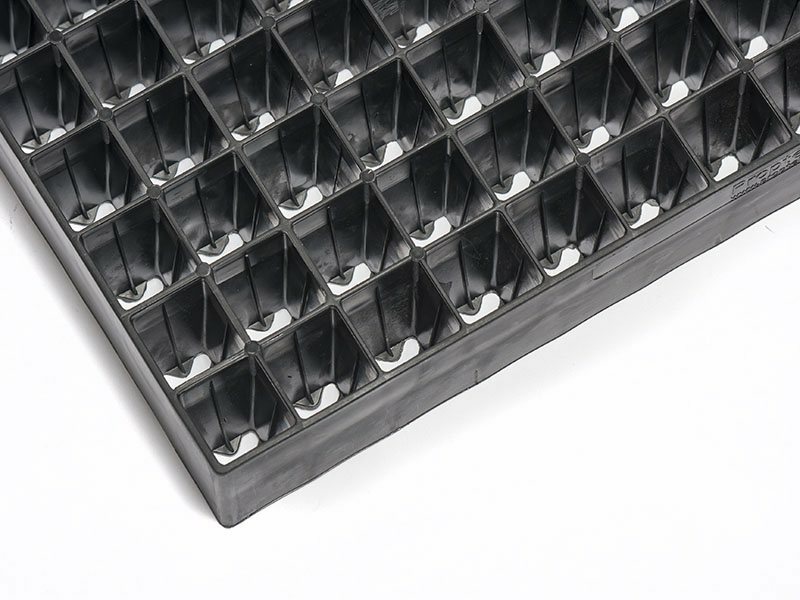 The benching tray holds either 15 shallow (4in’s) Ellepots or 15 sleeves that hold a deep (8in’s) Ellepot. 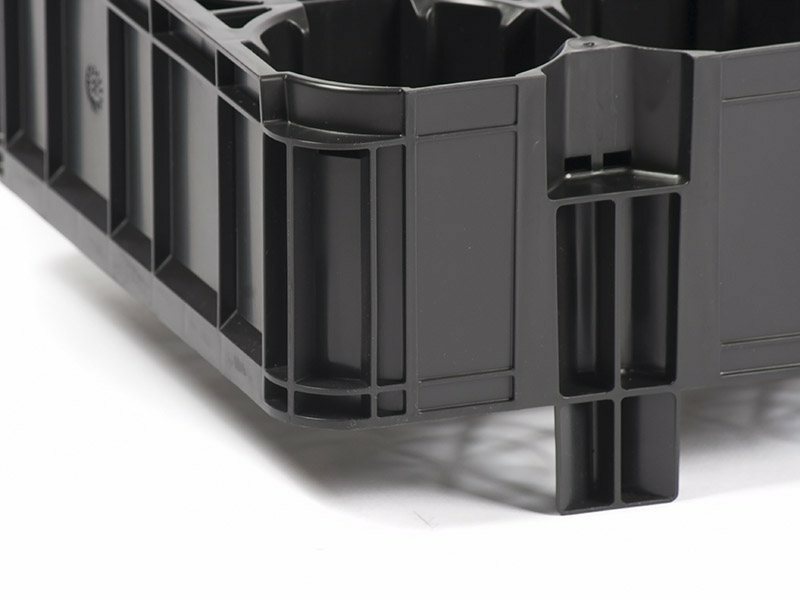 The sleeve slots easily into the tray and is easily lifted out manually or mechanically for grading and spacing etc. 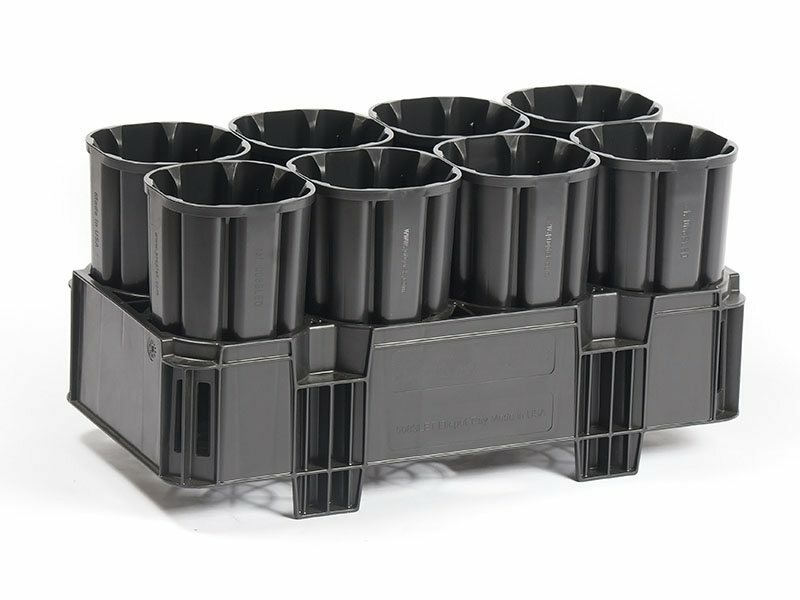 Very good for grapevine propagation as alternative to the Proptek 28 cell Pot in Frame if you wish to use the Ellepot system.